This is the time of year many people make out checks to their favorite charities, which depend on that generosity to provide their services. But not all organizations calling themselves a charity are all that charitable, according to several attorneys general around the country who have launched crackdowns. Just this week Michigan Attorney General Bill Schuette served notice on professional fundraiser Golden Recyclers, Inc., accusing it of more than 2,000 violations of the state's Charitable Organizations and Solicitations Act. Schuette charges the fundraiser with illegally operating clothing donation bins and misrepresenting what happens to the donated items. New York Attorney General Eric Schneiderman has sued a professional fundraiser from Brooklyn, charging that Menacola Marketing, doing business as Neighborhood Outreach, has not complied with an ongoing fraud investigation. Schneiderman says over a five year period, the organization reported more than $5 million in donations but retained, on average, 85% of that amount for its services. Scheiderman is seeking to have Menacola Marketing turn over its books and records. At the same time, Schneiderman's office has released a report on professional fundraisers, claiming that one-third of what people donate goes to the fundraiser, not the charity. Schneiderman says the report goes beyond its focus on telemarketers to include a broader range of solicitation methods, such as direct mail, email, and internet fundraising campaigns. “Unfortunately, many fundraisers are only looking out for themselves, retaining the majority of the donations to fund their own operations,” Schneiderman said. Colorado Attorney General Cynthia Coffman says consumers should always check out a charity before they donate. 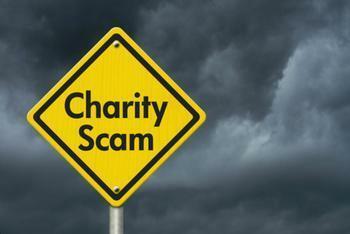 Online tools include www.checkthecharity.com, where consumers can check out a charity's detailed filing and review other information about the group, including any professional fundraisers they employ. The best advice, however, may be to stay proactive in your giving. Select a cause or group with which you are familiar and give generously.